Stadion Miejski w Wrocławiu (Municipal Stadium Wroclaw) was built to serve as a playing venue for the Euro 2012 tournament. Construction started in 2009 and was completed in January 2011. Stadion Miejski was designed by JSK architects. The exterior of the stadium consists of a glass-fibre mesh, coated with Teflon. Steel rings connect the mesh to the body of the stadium. The design makes it possible to change the colour of the outer walls. The first event at the stadium was a boxing match, but the stadium officially opened on 19 September 2011 with a concert of George Michael. 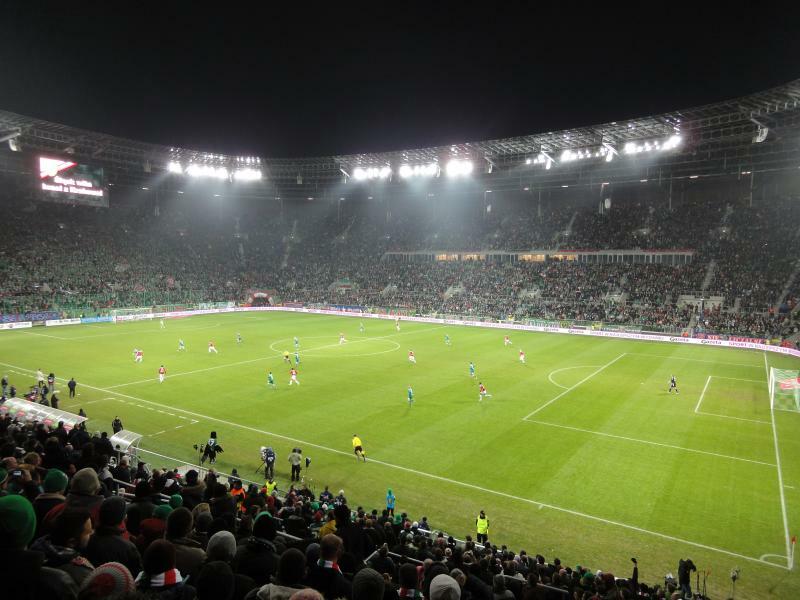 The first match played at the stadium was a Polish league match between Slask Wroclaw and Lechia Gdansk (1-0). 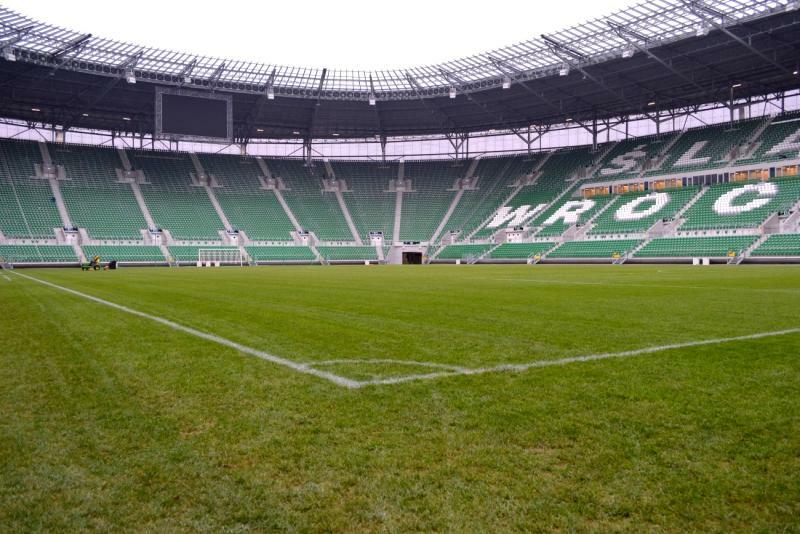 During Euro 2012, Stadion Miejski hosted three first round group matches. 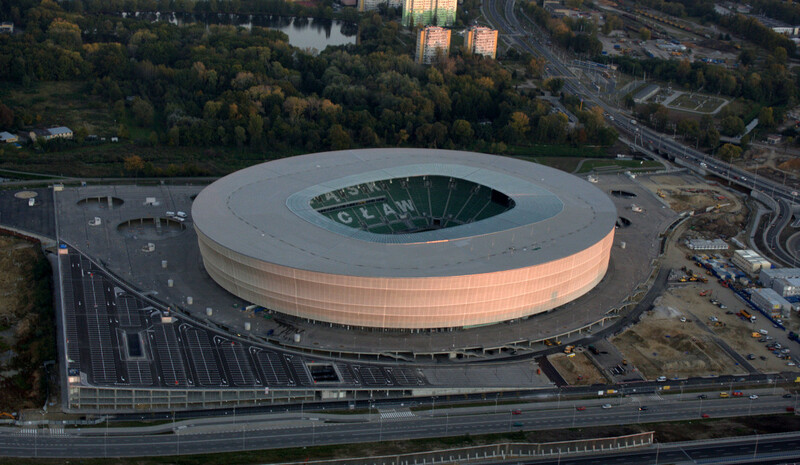 Stadion Miejski Wroclaw is located on the far north-eastern edge of Wrocław, about 8 kilometres from Wrocław’s city centre and almost 9 from the city’s main railway station. From the city centre the stadium can be reached with either tram 10 or 20. Both trams pass just south (and west) of Wrocław’s central Rynek square (on Kazimierza Wielkiego). Take the trams in the direction of Leśnica. The journey takes about 20 minutes. Tram 20 can also be caught a few blocks west from the main railway station at stop Arkady. 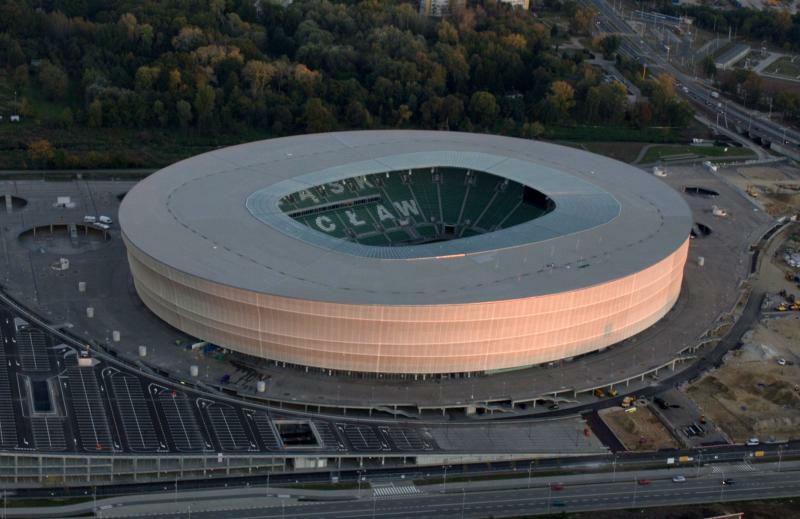 Tickets for Sląsk Wroclaw games can be bought at the ticket office at the stadium. Tickets are also available on the gate on the day of the match. Polish citizens need a Fan Card (Karta Kibica) to be able to buy a ticket, whereas foreigners should be able to buy a ticket with just identification. 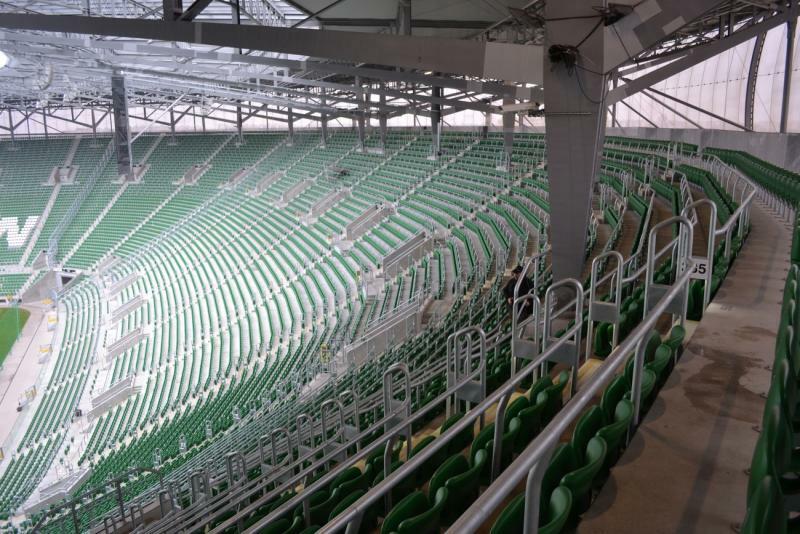 Tickets cost either PLN 28.00 for a seat behind the goal, or PLN 45.00 for a seat at one of the two long sides. Prices are increased for a few high-profile matches to PLN 33.00 and PLN 50.00. Tickets bought in pre-sale are PLN 5.00 cheaper. For more information email kasy@slaskwroclaw.pl, or call +48 71 722 39 44. 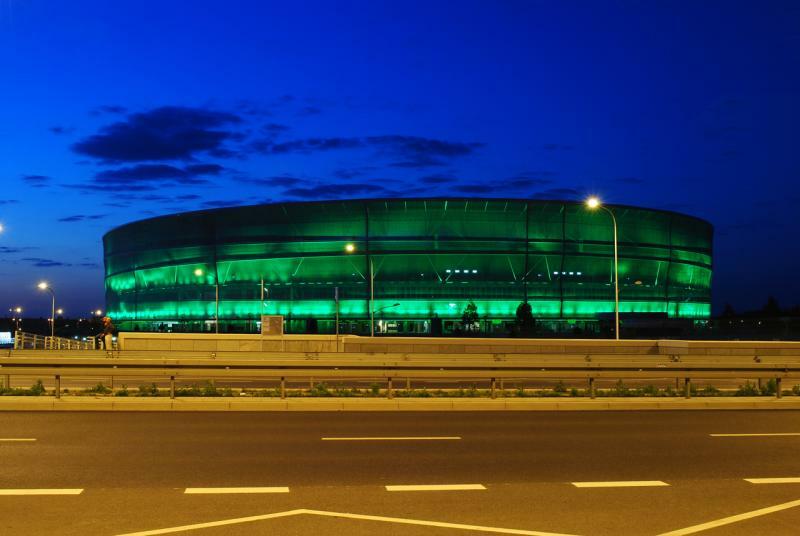 Slaskwroclaw.pl – Official website of WKS Śląsk Wrocław. Stadionwroclaw.pl – Official website of Stadion Miejski w Wrocławiu. Wroclaw.pl – Tourist information for the city of Wrocław. Fantastic arena for watching football. The local fans were few but made up for it with their impressive noise. The stadium was easily accessible by tram and buying tickets was very simple on match day. I was at the stadium twice: first time for Poland-Moldova game and second time for WKS agaist Podbeskidzie. Stadium itself is very nmodern, big and nice. The atmosphere is always great when polish national side plays so there was no surprise to me that fans were great. The second game was watched by only 6000 fans and it was one of the worst games i have ever seen. If you find yourself in Wroclaw( great city!!!) make your way down to the stadium as it is worth it.